You love your dog. So do we. ​Wag-A-Tail Doggie Daycare does just that. 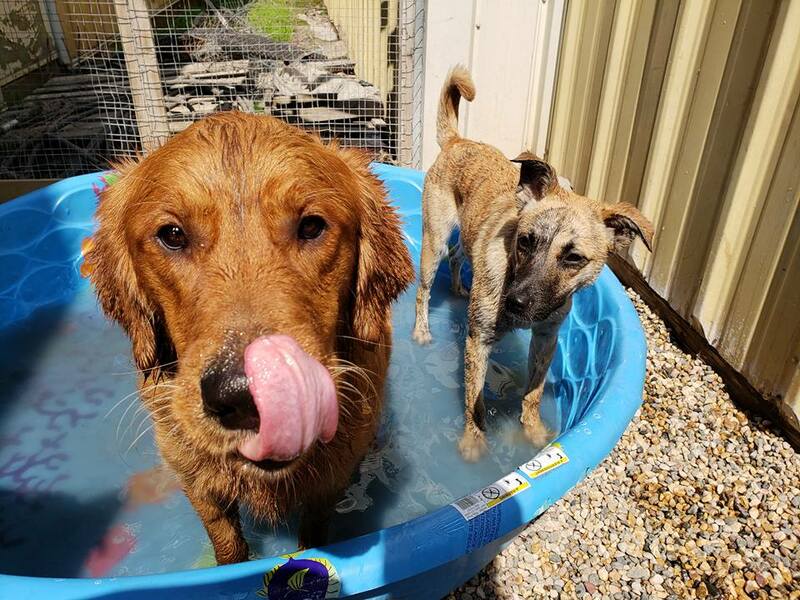 Wag-A-Tail Doggie Daycare provides a clean, safe and friendly daycare environment for your best friend to spend their day playing, lounging around or making good friends like these two. ​From keeping cool in our paddling pools, to playing with toys of all kinds, to top notch agility ramps - we'll keep your dog busy and entertained! Our daycare facility is an all-rubber covered floor. We ​also have outdoor fully-​fenced play space. We love your dog like it's our own. Our 2400 square foot dog day care is easy to find and easy to get to. We'd love to meet you and your 4-legged pal - stop by for a visit anytime.